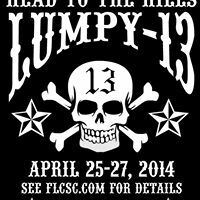 FLCSC celebrates 13 years of getting old and fat with another epic Head to the Hills. Dust off your vintage scooter and grab the rattle can-o-paint and come out to join us. Please check out FLCSC’s event page to get updates on this event. Friday April 25 – 8:30PM meet at First & Last Chance Bar in Jack London Square located at 48 Webster Street, Oakland, CA 94607. Ride leaves at 9PM. We will *not* being doing a ghetto ride any longer as the railroad tracks have claimed too many scooters. The ride last about 1 hour and will end up at Trader Vic’s in Emeryville located at 9 Anchor Drive Emeryville, CA 94608. Hula hula, hubba hubba. Saturday, April 26 – 9:30AM meet at Cole Coffee on the Oakland/Berkeley border (no ID required for border crossing) located at 307 63rd Street Oakland, CA 94618. We’ll be riding around the Claremont Hotel, into the hills down Grizzly Peak and onto Skyline, down Pinehurst past the town of Canyon, onto Redwood and into Castro Valley. After a short gas/pit stop, we’ll be heading down Palomares into Livermore Wine Country, down to Niles, into Sonol, and onto Stacey’s Cafe (or any of the other local eateries) in Pleasanton for lunch. After lunch we’ll head over to Norris Canyon and back to Castro Valley, around Lake Chabot, up Golf Links Road, back along Skyline, dropping into Montclair Village, then back over to Cole Coffee. The ride is a short 80 miles in total compared to our old ride of 125 miles. Sunday, April 27 – 9:30AM meet at Westside Cafe & Bakery in Berkeley located at 2570 9th St # 125, Berkeley, CA 94710. The food is excellent and the staff is usually slow with a crappy attitude. Ride leaves at 10AM. We’ll be winding up into the Berkeley hills, past the fountain, and into Tilden Park. After Tilden Park we will be heading into Briones and along the “3 bears”, into Alhambra Valley Rd. in Martinez and onto Franklin Canyon Rd, which will take us into Port Costa and our lunch stop, the Warehouse Cafe located at 5 Canyon Lake Drive Port Costa, CA 94569. Usually they have BBQ, 400+ types of beer, and a great blues or rock band playing. The hotel and bar were written up in the March issue of Sunset magazine. The hotel now has a new restaurant, so might be a good place to eat. Return route will be the reverse.